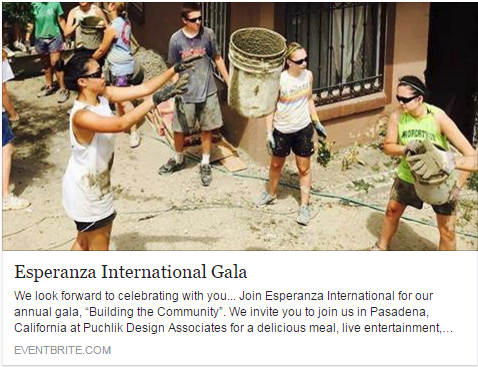 The Esperanza International "Building Community" Annual Fundraiser will be held at the PDA office in Pasadena (859 S. Raymond Ave) this year. Tickets and a variety of ways to support Esperanza International can be found at their Eventbrite page HERE. Visit the Esperanza International website HERE for more information.